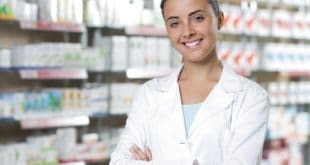 Home / Pharmacy Technician / Does a Pharmacy Technician Need a License? 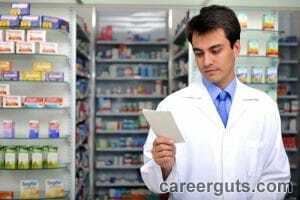 Does a Pharmacy Technician Need a License? Pharmacy technicians help pharmacists dispense medications, and some states require a license in order to perform this and other duties. Look on your state’s licensing division website to see if a license is required. Twenty-one states do not require a license or formal training. Register with the National Healthcareer Association (NHA) or The Pharmacy Technician Certification Board (PTCB) to take a certification exam. Some states will except either, while other states only accept one. Make sure you know which certification your state accepts before sitting for an exam. After earning certification, apply for a pharmacy technician license. Pharmacy technicians who take the Pharmacy Technician Certification exam administered by the Pharmacy Technician Certification Board will find it has ninety questions that cover topics such as pharmacology technicians and medication safety. The ExCPT exam administered by the National Healthcareer Association has one hundred questions and contains topics such as the dispensing process and regulation and technician duties. You receive a prescription written in metric units that contains sixteen ounces of liquid. How much is sixteen ounces according to the metric system? Laminar flow hoods must be certified every how many months? An order is written to administer 2 liters of an IV fluid over 18 hours. What will the flow rate be? According to federal law, DEA forms need to be maintained every how many years? What type of drug is loratadine? What is the brand name for aripiprazole? A drug is recalled by the FDA, but the problem isn’t likely to cause any adverse health reactions. What type of problem would this be? What is the name of the autoimmune disease in which the thyroid is overreacting and produces excessive amounts thyroid hormones? If two drugs are taken at the same time and one of them intensifies the other one’s action, what kind of drug interaction has occurred? The action to reducing a material to small particles? Sterile Products – This is an introductory course in aseptic techniques, irrigation solutions, administration preparation, and calculations for intravenous solutions. Overview of Pharmacy – This course is an overview of pharmacy with a focus on the technician in pharmacy settings including job roles and ethical standards of practice. Human Growth and Development – During this course, students try to understand and predict the behavior of people in their social context. Pharmacy Technology – Students learn a pharmacy technician’s responsibility in processing controlled substances and prescription renewals as well as the laws and regulations that apply to prescription orders from authorized healthcare providers. English Composition – This course teaches students how to write clear, organized essays at an academic level. A short expository research paper is likely to a part of the course. Pharmacy technicians have rewarding careers. If you would like more information about licensure, certification, or training programs, please contact us. Previous How Much Does a Dental Hygienist Make? Next What Does a Paralegal Do?